“I need peace.” With this simple admission, Lepisi Lesatele echoed the sentiments of the other 44 residents living at the Mapuifagalele home for the elderly. And in the quiet sweet serenity of Mapuifagalele grounds, the rest home is a healing sanctuary for our ailing elderly. Sixty-six-year-old resident, Lepisi Lesatele, is originally from Sataua and she worked at the Motootua Hospital until she retired. Last year she became a resident of Mapuifagalele rest home even though initially she met some resistance from her children about her decision. “I came last year, my children tried to stop me but I need peace,” Lepisi whispered. “Every day I attend mass in the morning, I pray to Jesus to show me a way to find happiness. Lepisi’s story is not uncommon in our country. The Home only takes in elderly residents from poor families who are in dire need and have no immediate family members to take care of their needs. Yet, Sister Lucy says it is not easy for Samoan families to let go of their elderly even if they do not have the means to take care of them. “I can see in this country, even though people look after their elderly that is true, they have love and respect for them,” said Sister Lucy. Sister Lucy has noticed that it is becoming more common to see that the elderly are becoming handicapped very early on as poorer families struggle to take care of their aging sick parents. At Mapuifagalele, out of 45 residents, there are only two who can walk and the rest are in wheelchairs. “They are not that old compared to the elders in New Zealand and Australia even if they get to a hundred years they can still walk,” said Sister Lucy. “Here you see people when they get to 50 most of them have had a stroke, they have diabetes and they are not being looked after properly by the families so they become handicapped and the families don’t have the means to help the parents. Sister Sarah became a nun of the order in 1979 and she said that when she first started to visit the villages to care for the sick elderly, it opened her eyes to the great need by our elderly for be cared for. Through her observations, she realized that it wasn’t just physical illnesses that the elderly suffered from, they also endured loneliness because they were left on their own, which distressed them. 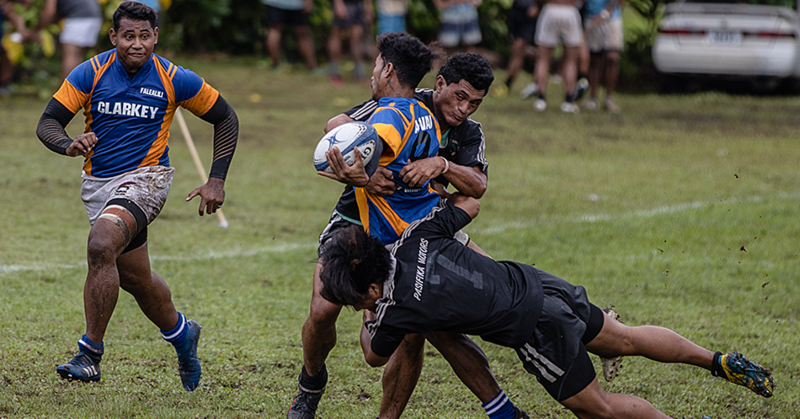 “There is a big change in the mentality of the Samoans now, you need to work and take care of the family and sometimes the elderly are left with the grandkids which is not very ideal,” said Sister Sarah. Traditionally it has been our custom to take care of our elderly and the concept of a rest home can still seem like an anomaly in Samoa. However, since the migration of our people to New Zealand and other countries it became more apparent with every passing generation that an alternative solution was needed to care for the elderly left behind at home. 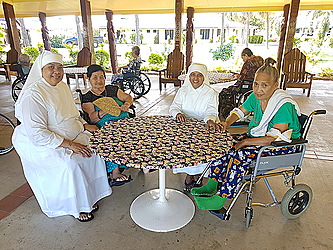 Instigated by Cardinal Pio Ta’aofinu’u, who became concerned with the welfare of his ailing and aging catechists, the Bishop saw that there was a great need for the Little Sisters of the Poor and their foundation in Samoa. In 1971, the sisters arrived and for four years began going out to the villages to care for the sick and disabled elderly while the Home was being constructed and it was during that time that people began to see how valuable their presence was. The Little Sisters of the Poor and Mapuifagalele rest home relies solely on donations and charity for its maintenance and management. The sisters believe, like their foundress Saint Jeanne Jugan, that it is beautiful to be poor and depend on God for everything. Even the construction of the rest home in the 1970s relied on God’s providence, according to Sister Lucy. “This home is a miracle,” said Sister Lucy. “We are completely dependent on God, money comes and goes – today it will be here and tomorrow it will not be there,” Sister Lucy says. “We live daily; we use whatever income and make use of today. If you don’t have anything, ask God he will surely give because this is his work, we never get worried. “If you don’t believe, you must experience. I didn’t believe in this before I came into the congregation, I didn’t know about the power of depending on God. I have seen with my eyes, whatever we ask of him, somebody will come to help us. 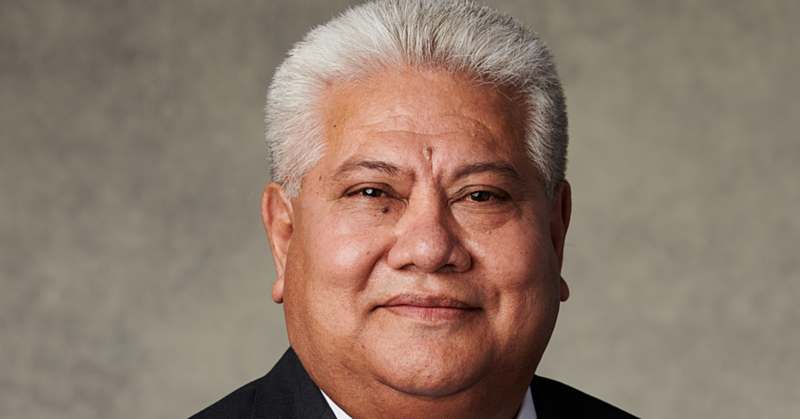 Sister Lucy said to the Sunday Samoan that they never felt worried and that in her time she has witnessed the miracle of God’s providence many times over to know that they will always be taken care of. The Sisters go out into the community three days a week to collect and in the 45 years that the Home has been in Samoa, Sister Lucy says that in her experience, they have never come across anyone here who has refused them and it is something that is unique about Samoan culture. “Thanks to the people only we are able to look after this house and maintain it. The people are so good in Samoa, where ever we go, the people open up their purses and they give something. If they don’t have money they give us whatever they have, rice and noodles or whatever. “They can understand and they know it’s a must and the Samoans never say no. They never say they don’t have anything; they always open their purse and give to us. I can see that they are very generous and very loving people and you don’t see that often in many other countries. Sister Lucy is also thankful to the families of the residents who come to visit their elders in the home and contribute what they can in providing for their loved ones whether it be money, food or volunteering their time. Today, the Little Sisters of the Poor continue to go out to the villages to visit and do what they can to provide assistance for the elderly and Sister Lucy admits it is hard for them to see some of the elders suffering and living in poor conditions. According to Sister Sarah, it is their hope and mission that they are able to provide care as well as an environment where our elders may live out their final years with the dignity and peace that they deserve.